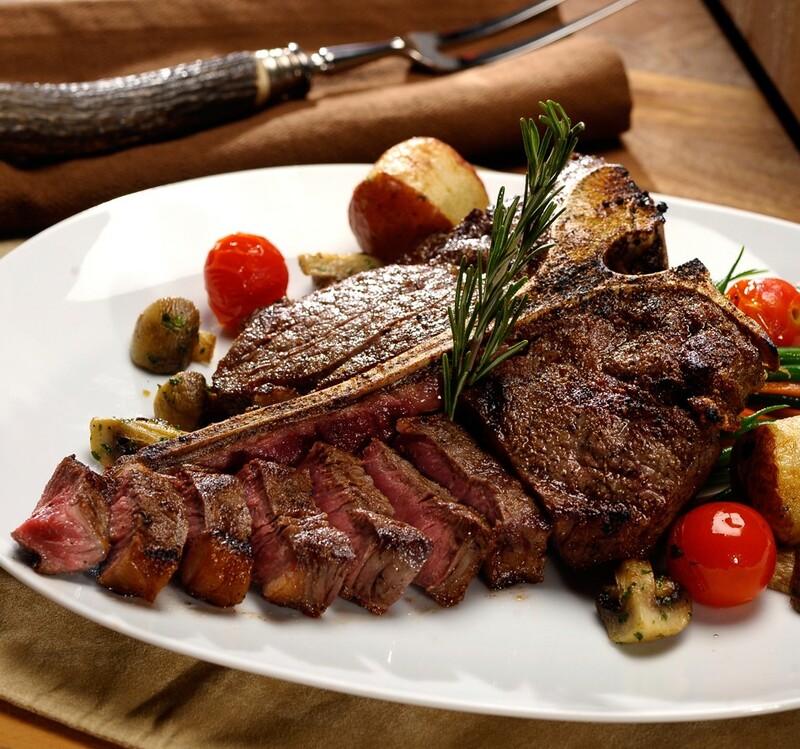 Located along the historic Ohio Erie Canal Towpath Trail, Bocca Grande Italian Restaurant is a purveyor of fine Italian dining and the finest Dry Aged USDA Prime and Choice Steaks. We are a full service family restaurant that has been in business since 1991. We pride ourselves on friendly service and quality food. Bocca Grande Italian Restaurant opened it's doors in January of 1991 and is family owned and operated by Larry and Renee Anderson. Larry's Grandmother called him, "Bocca Grande" as a child (it means, "Big Mouth" in Italian) and it is still fitting even today! Larry and Renee felt it was a great name for a restaurant in his Grandmother's memory since she always lovingly served large, homemade meals. 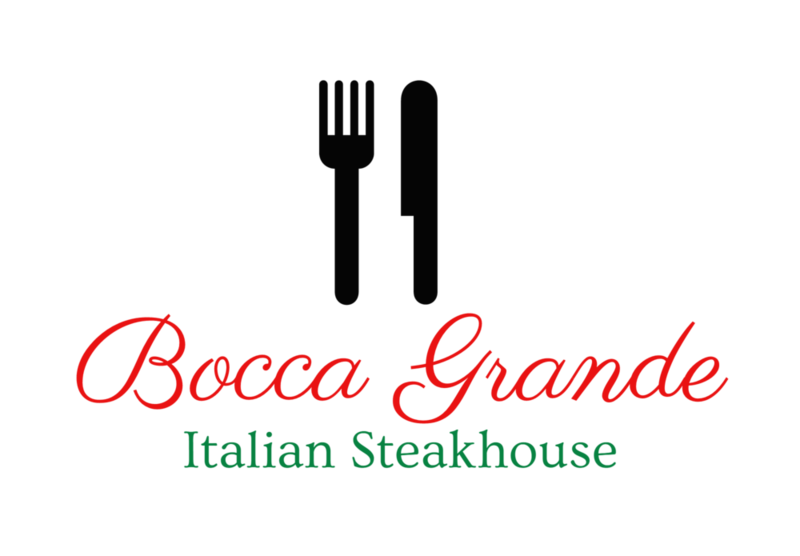 Bocca Grande is a provider of the NY Style Steaks. Bocca Grande has a menu featuring the finest USDA Prime and Choice, Dry Aged Steaks along with a Genuine Tuscany Italian Pastas and Pizza. Bocca Grande is the perfect spot for a casual weeknight dinner, a date night out or sharing food and drinks with friends and family. Our full service restaurant can accommodate parties large or small. Relax with a cocktail at the Bocca Bar while watching the latest news, sports, and entertainment or sit in our cozy dining room to enjoy a delicious meal with family and friends. Our menu combines classic Italian fare with some modern American twists to please anyone. Our full menu is available in the restaurant, at the bar, or for take out. Bocca Grande provides both on site and off site catering options for parties of most sizes. We can accommodate parties up to 24 comfortably in the dining area near the Bocca Bar. Our main dining room seats 100 people. Give us a call so we can discuss your many options and create a memorable event for you. Please call: 330-832-2162 after 1:00pm. Located along the Towpath Trail, minutes from Canton, Massillon, Canal Fulton, Portage Lakes, Jackson Township, North Canton and more! Follow Bocca Grande on Facebook! Lightly fried and served with marinara sauce. Homemade garlic bread topped with ripe tomatoes, fresh basil, and parmesan cheese. Choice of sauce: Garlic Parmesan, Barbecue, Mild, Hot, or Plain. 10 wings per order. Shrimp, corn and potatoes in a flavorful cream broth. Pasta, spinach, and meatballs in a savory chicken stock. Mixed Lettuce, Tomato, Cucumber, Croutons. Choice of Dressing. tossed in a olive oil sauce with grape tomatoes and fresh basil. Eight (8) cheese ravioli topped with your choice of marinara, Alfredo, Tuscan Pink Sauce or meat sauce. Green pepper stuffed with a homemade Italian rice and beef filling, topped with provolone cheese and baked. Served with a side of spaghetti and meat sauce. Multiple layers of lasagna noodles with beef, ricotta, Parmesan, and provolone cheeses with meat sauce. Breaded chicken with provolone cheese served with a side of spaghetti and choice of marinara or meat sauce. Grilled Chicken served over a bed of fettuccine noodles and homemade Alfredo sauce. Seared chicken with a classic Marsala wine and mushroom sauce served over fettuccine. Choice of pan seared with an orange glaze or blackened and topped with a fresh relish. Served with choice of side. Baked and served with a traditional white wine and butter sauce. Served with choice of side. Sauteed or Blackened shrimp served over a bed of fettuccine noodles and homemade Alfredo sauce. The best in town! 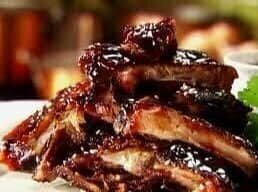 Slow smoked in house, topped with a sweet and savory barbecue sauce and finished under the broiler for their signature bark. Large 25 oz. Cajun grilled pork chop. Served with choice of side. Black Angus 21 day wet aged beef.Slow roasted, tender, juicy 16 oz. Prime Rib served with au jus. Served with choice of side. Black Angus 21 day wet aged. Served with a side. Black Angus 21 day wet aged. 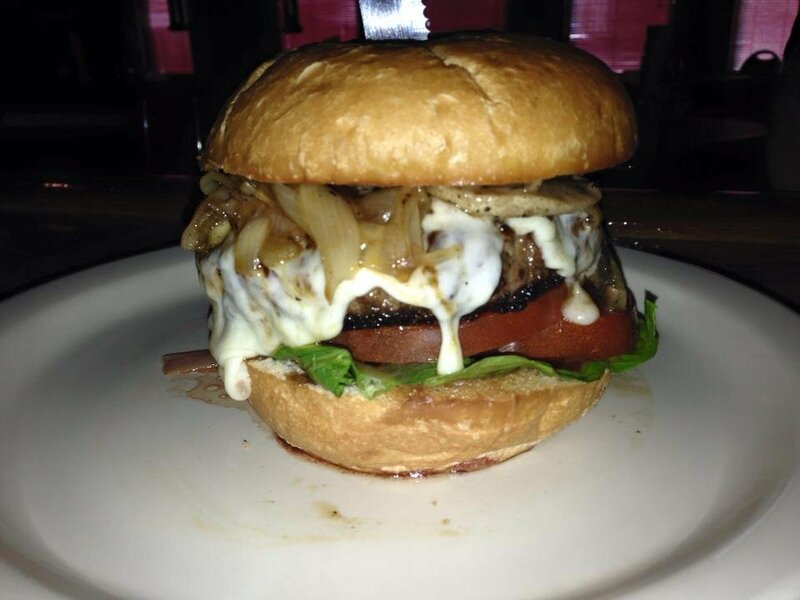 Topped with our Bourbon and cream sauce. Served with a side. Provider of NY Style Steaks. Black Angus Prime DRY aged beef!! Just like the New York Steakhouses. Best Steaks in Stark County! Porterhouse for two 24 oz. 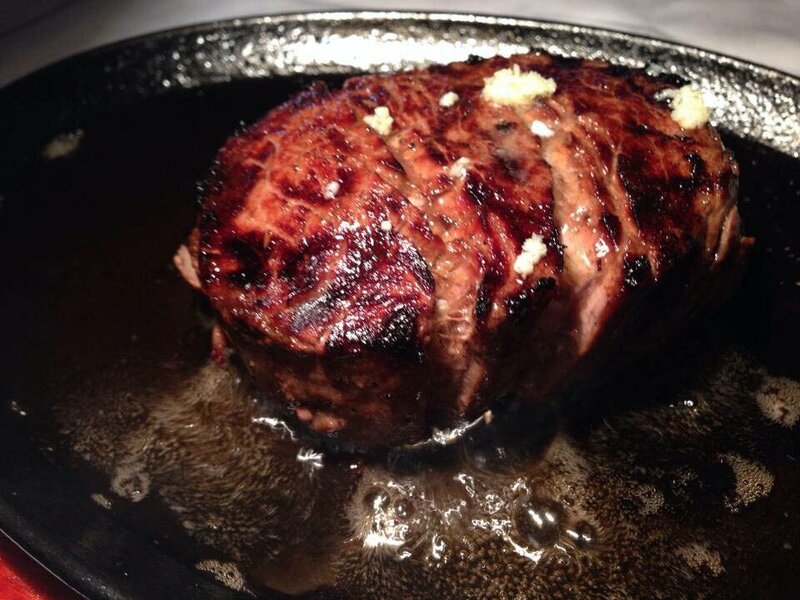 Combining the intense dry aged flavor of a NY Strip and tenderness of a filet. Served with two sides. NY Strip Steak 14 oz. 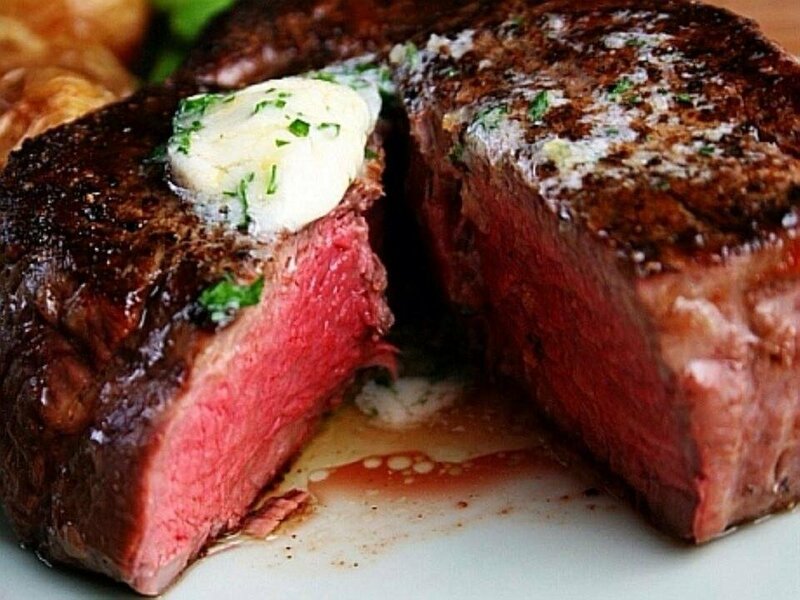 The most tender steak you will ever experience. Cut from the best beef sources center cut and well marbled. Two 4 oz. filets topped with Bourbon peppercorn or creamed bleu cheese. Served with a side. Homemade pizza pocket filled with ham, pepperoni, salami, & provolone. Side of marinara. Amazing shaved beef topped with onions, peppers, and provolone cheese. Au jus for dipping. Made from prime and choice steaks cuts of Black Angus beef, incredible flavor and tenderness. Toppings are bleu cheese, provolone, swiss, feta, carmalized onions, banana peppers, mushrooms, lettuce, tomatoes, and raw onions. Comes with choice of salad or fries. Bocca's homemade veal meatballs topped with marinara sauce and provolone cheese served on a toasted roll. Grilled chicken breast topped with our homemade pesto, lettuce, and tomato. Served with choice of fries or salad. Ages 12 and under, please. Bocca Bellini – Bocca’s twist on a classic cocktail. Vodka, Peach Schnaaps, a splash of pineapple juice and soda water. Garnished with an orange slice and maraschino cherry. Captain Morgan's Spiced Rum, Myer's Dark Rum, Malibu Coconut Rum, and Bacardi Rum. Finished with Orange, Pineapple, & Cranberry Juices. Gin or Vodka with Dry Vermouth. Shaken and served up or stirred and served on the rocks. Choice of olives, bleu cheese olives, or lemon twist. A red, bitter cordial that can be served in many ways, including with grapefruit juice, orange juice, vodka, gin, soda water and ice. Garnished with a slice of orange. Gin, Campari, Sweet Vermouth. Shaken and served up. Orange twist garnish. Digestivo – beverage taken after a meal to aid digestion. Hazelnut liqueur/cordial, a nice after-dinner choice if you have a sweet tooth and is particularly nice with coffee. Serve with 3 coffee beans floating in it, (called Sambuca con la mosca - Sambuca with the fly) signifying health, happiness and prosperity. The number three is often considered lucky in Italy. Captain Morgan’s Spiced Rum, Kahlua, Bailey's Irish Cream and Coffee. Garnished with whipped cream. Vanilla Vodka, Kahlua, Bailey’s, Espresso. Shaken and served up with a lemon twist. Vanilla Vodka, Bailey’s, Chocolate Liqueur. Shaken and served up with a chocolate drizzle. Call (330) 832–2162 from 1p – 10p daily. Catering options are available. Call Renee to arrange catering or to schedule a party at Bocca Grande. Located along the Towpath Trail, minutes from Belden Village, Canton, Massillon, Canal Fulton, Portage Lakes, Jackson Township, North Canton and more! "Like" Bocca Grande on Facebook!